Second: Reason #96 why I never get any work done. 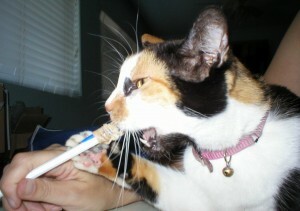 She just has to sit on my lap and catch my pen and eat it. Ha, ha, ha! ~:D That picture’s wonderful!